Our Food For Thought Program is Making a Difference! The students will increase awareness and understanding of the environment. The students will develop a sense of responsibility for the environment. The students will gain a better sense of cooperation and community. 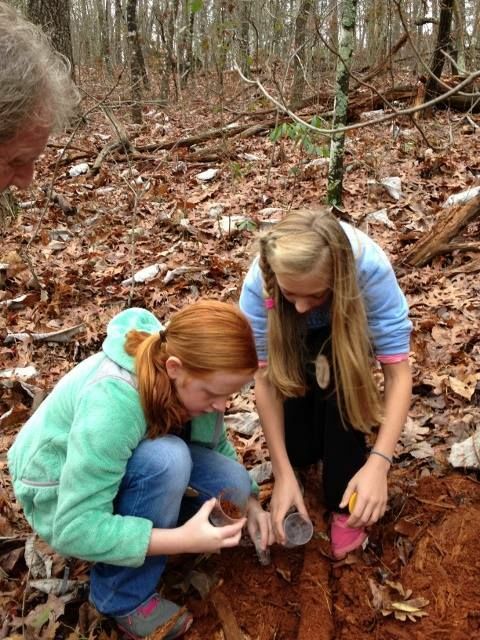 Outdoor environmental education embraces teachable moments which happen regularly in an outdoor classroom. The MEC Instructors are professional educators who go through an extensive staff training. Each instructor will have their own teaching style and choose activities for classes that best suit their personality. Your students will not stay with the same instructor the entire time. Because of this, your student groups will not have an identical experience in every class. Instructors will cover the learning goals for each class, which are correlated to the Next Generation Science Standards, and to the state standards for Alabama, Mississippi, Tennessee, and Georgia. The instructor will also integrate the class into the theme chosen by your school to ensure a cohesive learning experience. To view our entire catalog of classes, download our curriculum guide.